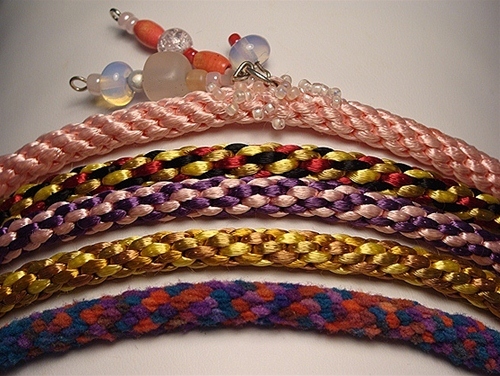 Kumihimo Braiding Class: Students will learn Kumihimo, a fun and easy Japanese braiding technique using silk, rat-tail, or yarn. Once familiar with the process, you may choose to incorporate seed beads. We will explore different options for finishing your piece and how to incorporate charms or a pendant. Take advantage of this quick and versatile technique to add to your skill set. Recommended age is 8-80 years. Great group class. Class fee is $ 20 + materials. Average class time is 1.5 hours.